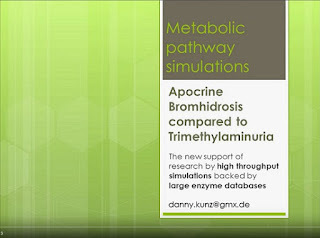 Danny Kunz has donated a very interesting PowerPoint presentation for the MEBO Conference 2017 consisting of metabolic pathway simulations on Apocrine Bromhidrosis compared to Trimethylaminuria. 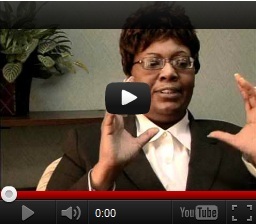 This presentation also discusses the role of the eccrine glands in bromhidrosis. We are most grateful to Danny, who is a part of this, "loosely coupled group of patients (and non-patients) with academic degree and without academic degree integrating our separate research capabilities and representing an addressable unit." This theory is supported by high throughput simulations backed by large enzyme databases, which makes it a very persuasive presentation. 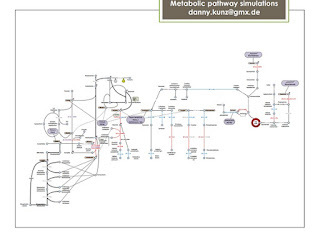 In other words, this group has done a computer simulation of bromhidrosis backed up by large enzyme databases, as Danny explains in the presentation. Their theory is that bromhidrosis is an apocrine and eccrine sweat glands metabolic disease. Danny also says in his presentation that thyroid function with and without elevated hormone, TSH, may plays a role in bromhidrosis, and the group recommends supplementation and diet for this. Even though the simulations discussed in this PowerPoint presentation do not have the aspect of medical proof yet, it provides a very compelling theory that calls for further research. b. Recommends a Thyroid functions blood test, with and without elevated Thyroid Stimulating Hormone (TSH), and recommended supplementation and diet. 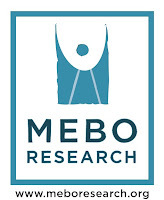 We are most grateful to Danny Kunz and his colleagues for creating this very interesting presentation for our MEBO Annual Conference and Meetup 2017!